For tourists who enjoy warm water, sandy beaches, mountainous and rocky landscapes, beautiful and picturesque little coves, Tolo is the perfect travel destination. 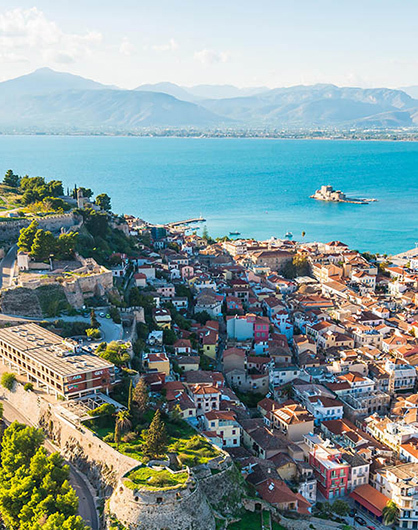 Nafplion is one of the most important cities of ancient and modern Greece . The rich history, which is attested by the many ancient and medieval monuments that can be visited (Palamidi Castle, Akronarfplia, the Land Gate, the museum, Arvanitia, Bourtzi ), is enhanced by the beauty of the old town with its Venetian homes and shops. Visitors can eat at one of the many restaurants and traditional taverns , drink coffee overlooking Mpoyrtzi , take a romantic walk on the seaside Arvanitia path, buy souvenirs and gifts (there is one of the few rosary museums in the country) and have a great night out at one of the many bars and clubs in the city . 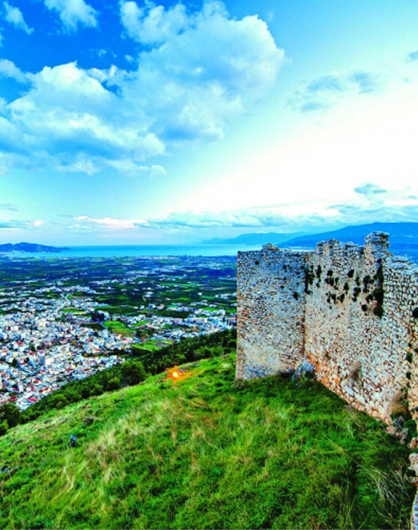 Nafplio is 10 km from Tolo , 15 minutes by car. Argos is a city and a former municipality in Argolis. It is 11 kilometers (7 miles) from Nafplion, which was its historic harbor. A settlement of great antiquity, Argos has been continuously inhabited as at least a substantial village for the past 7,000 years. The city is a member of the Most Ancient European Towns Network. Over-looking the town of Argos is the Castle of Larisa built in the twelfth century and named after the Nymph daughter of Ancient Greek hero Pelasgos, not the town in central Greece. When you visit Ancient Assini, you can immediately see the strategic advantage it has. The Mycenaean type walls and the view over the whole Argolic bay offered to its residents a great protection from attackers (mainly from the kingdom of Argos), whether it was from sea or land. From the excavations done by Swedish archaeologists Otto Frodin and Alex Persson of the Swedish Archeological Museum in 1922-1930, which are continuing to date, there have been many important discoveries. Domed tombs, wells, underground oil and wine tanks and an intricate water system that also supported hot water baths and spas during the Roman period, are proof of a thriving agricultural and commercial town. There have also been findings from the paleolithic age, suggesting it was one of the oldest towns in Europe. It is 2 km from Tolo and a great hiking route. Mycenaean Greece refers to the last phase of the Bronze Age in Ancient Greece (ca. 1600- 1100 BC ). It takes its name from the ancient city of Mycenae in Argolis. Mycenean civilization perished with the collapse of Bronze Age civilization in the eastern Mediterranean, which is commonly attributed to the Dorian invasion from the North, although alternative theories also propose natural disasters an climatic changes. This period of Greek history is the historical setting of muchancient Greek literature and myth, including the epics of Homer and the start of the Trojan Wars. 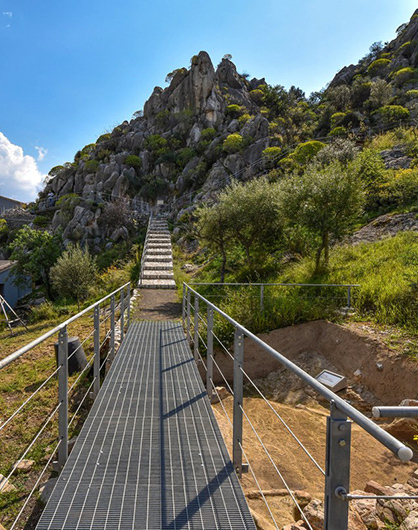 The ancient site of Mycenae includes the Acropolis on which stand the ruins of King Agamemnon’s palace, the Mycenean graves and the famous Tholos Tombs of Atrea and Clytemnestra. The museum in Mycenae has exact replicas of the golden mask of King Agamemnon and other priceless finds from the area. The original pieces are n show in the Athens Archeological Museum. 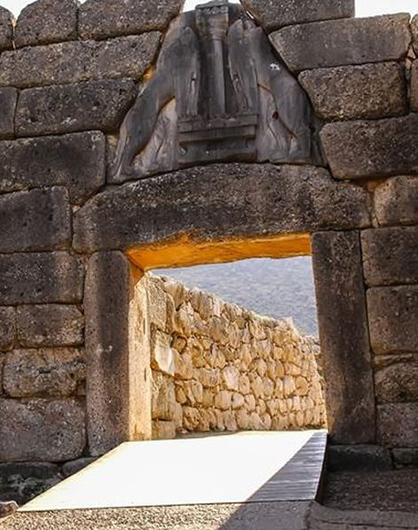 Mycenae is about a 35 minute drive from Tolo. Ancient Epidaurus consists of the world famous ancient theatre with its unique acoustics where you can drop a coin on the marble slab on the center stage and the sound carries clearly up to the last seating row. Adjoining this amazing ancient theatre is the ancient sanctuary of Asklipiou of Epidaurus dedicated to the god of health and medicine and the workplace of Hippocrates of Kos, an ancient Greek physician of the Age of Pericles, who is considered one of the most outstanding figures in the history of medicine. The ancient sanctuary of Asklipiou of Epidaurus was the most famous health sanctuary in ancient Greece where pilgrims would go to rejuvenate their physical and mental health. There is also a museum full of marble statues and ancient artefacts found in the surrounding area. 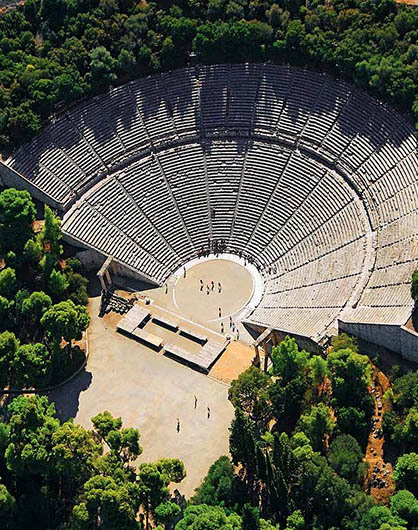 Ancient Epidaurus is only a 40 minute drive from Tolo. Olympia, a sanctuary of ancient Greece in Elis, is known for having been the birthplace of the Olympic Games in classical times, the most famous games in history. The Olympic games were held every four years throughout th Classical Ages, from the 8th century B.C. to the 4th century A.D. The first Olympic Games were in honor of Zeus, where a huge twelve meter high statue made of ivory and gold stood, dominating the ancient site. Many people would come from all over ancient Greece and as far away as Mesopotamia in the east and lower Italy, to pay homage to Zeus and watch or participate in the ancient Olympic Games. The Olympic Idea was that the games would bring athletes and people together and overcome animosity when all wars would cease during the Olympic Games. The ancient site of Olympia is well kept with the remains of the sanctuary also known as the Altis, the Stadium and the Gymnasium offering the visitor the chance to imagine what the classical Olympic Games would have been like. Also the museum displays many important and significant finds from the area and classical Greece. 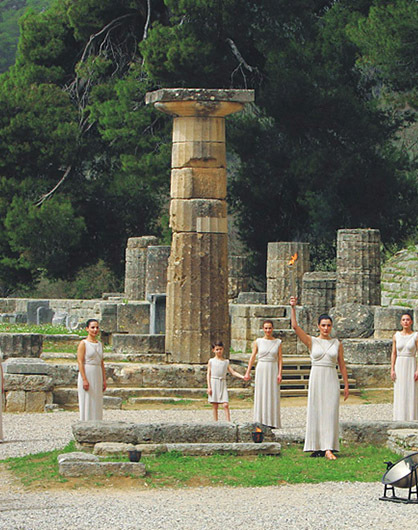 Ancient Olympia is 180 kilometers from Tolo, two and a half hours drive from Tolo. The famous red wine from the region of Nemea in the Peloponnese is well known from ancient times. The rich clay soil and the Mediterranean climate together with the unique “Agiorgitiko” vine, contribute to creating one of the world’s finest wines. Visitors can partake in wine tasting seminars and see how the famous “Nemean Red” is made in one of the many wineries open to the public. Nemea is not only famous for its wine but it also has a very interesting archeological site with a temple dedicated to Apollo with an on-site museum and an ancient stadium as engaging as that of Ancient Olympia, well worth visiting. 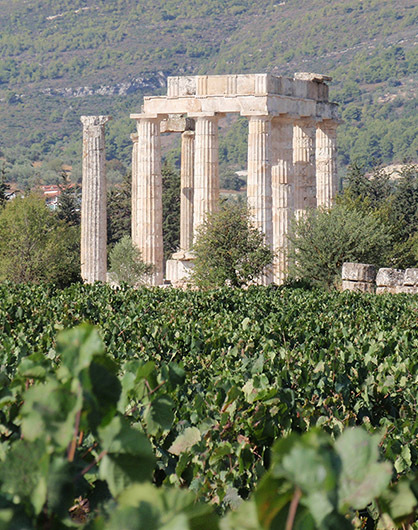 Nemea is about 50 kilometers from Tolo, a fifty minute drive by car. The Isthmus canal was built in 1882 to allow ships to sail through it instead of around the Peloponnese, saving them from a very long trip. It was dug through 76 meters of solid rock and gravel, making it one of the most expensive and difficult projects of its time. Its shallow water (only 8 meters deep) and narrow pass making it hard for the massive modern cruise and cargo ships to pass through it. There is a great bungee jumping spot and visitors can sail through it with tourist boats. Isthmus is 72 km from Tolo, 1 hour drive.